I received a custom mini quilt order from a faithful blog follower for her seven year old daughter. It will be a Christmas gift. She asked that I make it about 12″ x 15″ and similar to this one. 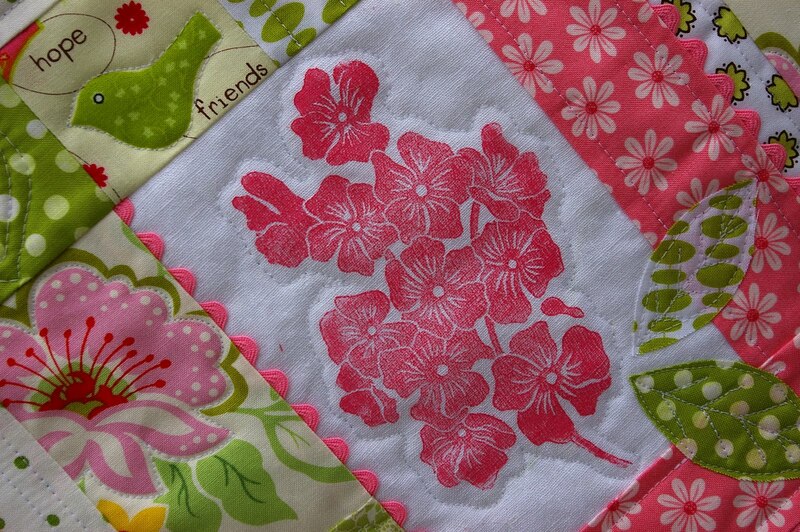 Her daughter’s favorite colors are pink and bright green. I have to say that it is always a treat to work with colors like that because I am partial to them too! I think that this quilt has a youthful feel but I don’t think she will outgrow it any time soon either. I like the addition of rick rack in a few of the seams. I think it makes it look more girly and dainty! 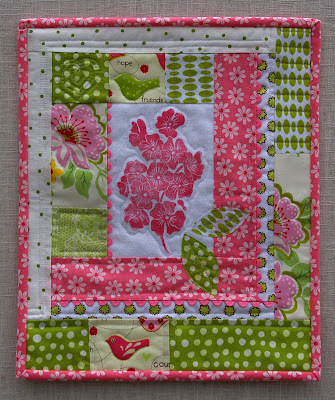 She also suggested that I include birds so I fussy cut a couple of squares with birds in them and quilted around them. 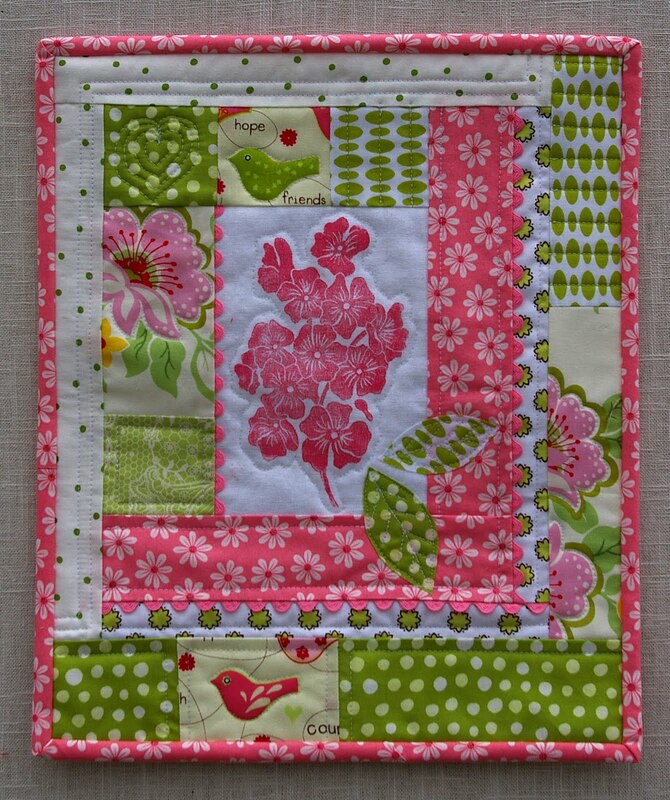 For another little touch of whimsy, I quilted a heart design in the green block in the upper left. I think most seven year old girls like hearts. I hope she is happy with it this Christmas!